One of the most important events on the global aviation scene in the domain of both military and civil aviation that is being held from July 16 to 22 this year, is the biennial Airshow at Farnborough Airport. This year at the Airshow, there are over 1,500 exhibitors from 52 countries participating of which 71 per cent are from outside the United Kingdom. There will be 150 aircraft, both military and civil, on display and the organisers expect over 1,50,000 visitors including trade delegations from across the world. In this issue of the magazine, Arpita Kala and Rohit Srivastava, have a detailed preview of this gala event. In the first week of this month, Boeing and Embraer, two major players in the global aerospace industry engaged in the production of airliners, literally made waves when they signed a Memorandum of Understanding to forge a strategic partnership that, as a joint venture, positions both companies on an elevated platform. This partnership will certainly pose fresh challenges for the other players in the world market. 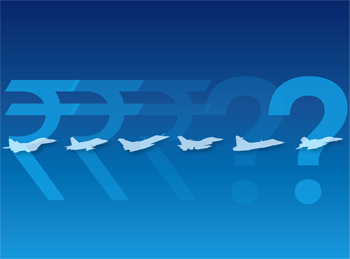 In this issue of SP’s Aviation, Air Marshal Sukhchain Singh (Retd) has an indepth analysis on this crucial development that is of tremendous significance for the global aerospace market. 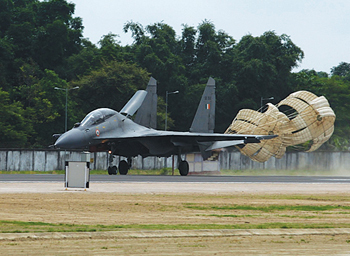 The Indian Ministry of Defence (MoD) has once again embarked on an exercise to procure fourth-generation fighter aircraft to make up for the deficiency in the combat fleet of the Indian Air Force (IAF). Unfortunately, the MoD has opted to traverse a path similar to one that rather tragically, failed after eight years of effort. In this issue, Air Marshal B.K. 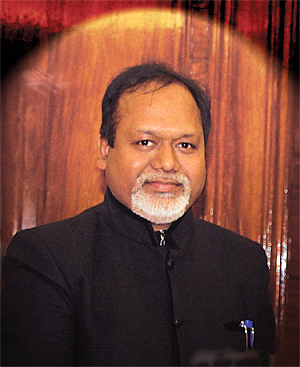 Pandey (Retd) writes about this latest move by the MoD and the uncertainties ahead. While on the subject of procurement of military aircraft, the other area where delay and uncertainty has plagued the IAF is the replacement of the obsolescent fleet of HS-748 Avro transport aircraft. The Airbus C295 twin-engine, medium-lift turboprop aircraft was identified long ago as the preferred platform, to be manufactured in India for which Tata Advanced Systems limited has been selected. Unfortunately, the case has been languishing for years, mired in the complex bureaucratic procedural tangle. Undue delay in the procurement of military hardware has serious implications for the Indian armed forces and in turn for national security. Hence it is incumbent on the government of the day to clear this proposal without further dithering. A report on this problem has been included in this issue of the magazine. Although advancements in the domain of rotary-wing platforms, compared to those in the fixed-wing regime, have been somewhat slower, there are innovations of significance underway that are expected to enhance the capabilities of the next generation of combat helicopters. One area in which the United States has taken the lead is that of the Future Vertical Lift (FVL) platforms that will provide enhanced versatility and operational capabilities to combat helicopters to be developed in the years to come. There is a detailed report by Group Captain A.K. Sachdev (Retd) on the next generation combat helicopters. All these and more in this issue of SP’s Aviation. Welcome aboard and wish you happy landings!